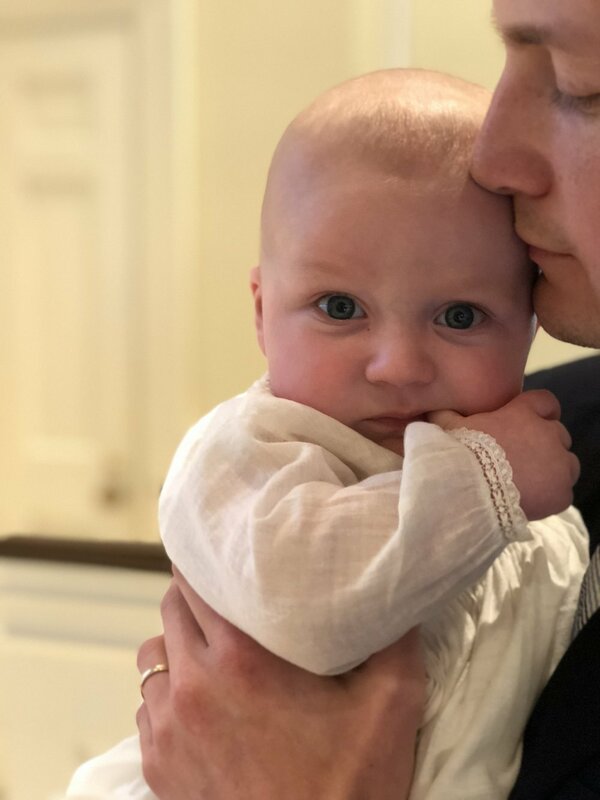 Mac’s Baptism — deep hunger, deep gladness. We live in Asheville, NC and have for almost three years now, but we wanted to have him baptized in Alabama since most of our friends and families live there and it would be a bit easier for people to travel to attend. There were so many special details that ended up falling into place, I almost couldn’t believe how well it went. Instead of having Mac baptized within a church service, we asked the preacher who performed our marriage ceremony, Warren Nash, if he’d be up for doing a smaller ceremony in the chapel of the church where we got married. Since we don’t attend that church anymore, it made more sense to me to do something outside of a normal Sunday service. Our family and friends filled the little chapel as we got to welcome Mac “officially” into the family of God. I’ll include details that moved me just below, but overarchingly, my two favorite things are (unsurprisingly) the words that get spoken or sung during a United Methodist baptism. 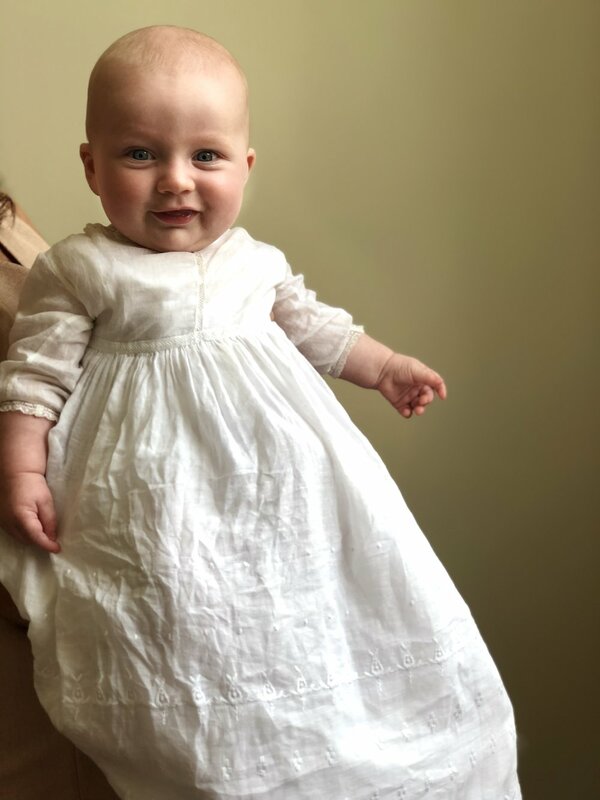 So beautiful, and a powerful reminder that our obligation is not just on the day of baptism, but every day of this baby’s life - modeling the love, grace, forgiveness, charity, service, and inclusion of Christ. WHEW. I mean are ya KIDDING me?! A few minutes before this refrain was sung, the organist and choir director at Canterbury, Lester Seigel, ran down from the choir loft to pass the ministers a note - he decided we should sing all four verses of this hymn, and I’m so glad he did. Somehow the words in each subsequent verse are more tender than the verse before. Cue me weeping. All in all, it was so intimate and felt like such a holy experience. There are few opportunities in life wherein you’re surrounded by the people who mean so much to you, but this particular one, looking at a baby who has God’s love all over his face every day, felt like it was almost too pure to bear. Jordan and I are so grateful for the grace that has been shown to us, and Sunday was a beautiful call to action in teaching our son to show grace to others in the name of God. And, of course - pictures! The guest of honor fell asleep at the end of his party - time to go home!